Filed under super interesting things I learned this year: the Mid-Autumn Festival is the second most important celebration after New Year in the Chinese holiday calendar. The celebration involves family members gathering for a big feast on the harvest moon (falling this year on September 15th). This event combines all of my favourite things: cooking celebratory foods, feasting, family gatherings, and fun food events in September. 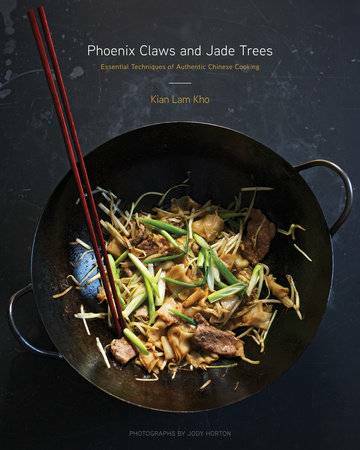 In preparation for this awesome new-to-me holiday, I delved into a comprehensive Chinese cookbook: Phoenix Claws and Jade Trees by Kian Lam Kho. This cookbook honestly blew me away. I did not think there could be any more comprehensive book on Chinese ingredients than Asian Ingredients by Bruce Cost, but Phoenix Claws may prove me wrong. It is in-depth, well-explained, gorgeously photographed, with a wonderful touch of whimsy that brought the culture of Chinese cuisine to life for me. Chapter headings like “Harnessing the Breath of a Wok” and “Enriching with Smoke” played against rigorous technical descriptions of (for instance) the five main types of stir-frying. From my readings and recipe testings of his cookbook, I feel that the author provides excellent guidance for those new to Chinese cooking, yet at the same time brings excitement and challenge to someone, like myself, who is already familiar and comfortable with a range of Asian ingredients and cooking techniques. For the purposes of this review, I tested several recipes in the book. I found them to be very easy to follow, with precise and accurate instructions. All the recipes turned out well, and I am posting two of them below. In order to give as honest a review as possible, I chose to post recipes that represented opposite feelings: one that I found to be an absolute winner, and one that could (in my opinion) do with a few tweaks. That said, this cookbook so far delivers in all the respects that I look for in a good cooking manual: well-crafted recipes, easy-to-follow instructions and descriptions, and an inspirational writing style. The author is obviously excited by his chosen subject! In exchange for this review, Clarkson Potter will send one of my readers a copy of the cookbook!! Full giveaway rules and description after the recipes. This recipe was a stand out! Will make a again, for sure, and will likely make it into my regular rotation. Delicious! The beef stir fry had a Western twist with the onions and black pepper, but still a definitively Chinese flavour profile from the oyster sauce, dark soy, and ginger. Heidi Tweaks: I would reduce or leave out the black pepper next time, only because the high amount used in this recipe irritated my stomach. I would also reduce the amount of oil used. The sauce was very flavourful and very ample – in my opinion this could easily extend to a full pound or more of steak, plus some green vegetables if desired. I would also be interested to try this with a cheaper cut of steak, such as strip loin or sirloin. In a bowl, combine all the ingredients for the velveting mixture and mix well. Add the beef and mix well. Let marinate for 20 minutes. Mix the sauce ingredients together in another bowl. Dry the wok and return it to the heat. Pour in 2 tablespoons of the reserved vegetable oil (from cooking the beef) to the wok. Add the ginger, garlic, and onion to the wok. Stir-fry until fragrant, about 30 seconds. Return the beef to the wok and add the black peppercorns. Stir-fry for about 15 seconds, then add the sauce mixture. Cook until the sauce thickens, about 2 minutes. Serve garnished with cilantro springs. This was very good, but I would make it again only with significant tweaks. This has nothing to do with the quality of the recipe, and everything to do with my personal taste. Secondly, I found this way too spicy for my taste, so I would adjust the spices down (see above). Lastly, I was missing the garlic. The only allium called for in this recipe are Chinese leeks, which are hard to come by, even in Chinatown. I would make this again with minced cloves of garlic, and garlic chives for garnish. On the plus side, this recipe uses ample amounts of Chinese fermented bean, which is one of my favourite condiments EVER. Must have in any kitchen!!! Put the tofu in a medium saucepan and add 5 cups of water and the salt. Bring water to a boil and then cook gently over medium heat for 5 minutes. Turn off the heat and let the tofu sit in the water. Heat a wok (I used a large skillet) over high heat until a droplet of water sizzles and evaporates immediately upon contact. Swirl the vegetable oil around the bottom and sides of the wok to coat it evenly. Add the ground beef and stir-fry for about 3 minutes, or until the beef had lost its pink colour and had browned slightly. Remove beef from the wok and transfer to a bowl. To make the Chile Bean Paste Oil, heat the vegetable oil in the wok (or skillet) over medium heat, until it is just starting to shimmer. Add the scallion whites and ginger to the wok and stir-fry for about 30 seconds. Add the chile powder and Sichuan peppercorn powder and stir fry about 30 seconds, or until the oil has turned red. 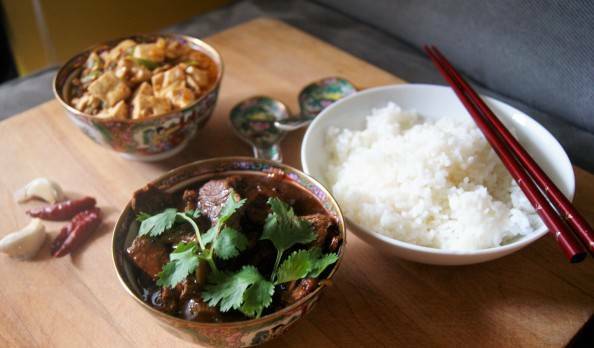 Add the chile bean paste and fermented black beans, and stir-fry for another 30 seconds. Drain the tofu and add it to the wok. Return the cooked ground beef to the wok. Stir in all the sauce ingredients. Simmer over medium heat about 3 minutes, until the tofu has absorbed the flavours (I found that I needed a bit more stock, and that I simmered it for 5 to 7 minutes). In a small bowl, mix the tapioca starch with 2 Tb of water to make a slurry. Stir it into the broth and cook until the broth has thickened, about 1 minute. Add the leek slices and simmer about 30 seconds more, until they just turn bright green (I did this for 2 minutes). (I also added a bit of salt at the end). This giveaway is open to all residents of Canada who are 18 years of age or older. No purchase necessary to enter. Giveaway will run from September 9th to October 2nd at 12:00pm. Winner is chosen at random. Winner will be contacted via email and given 48 hours to respond. If not, a new winner will be chosen. Email addresses and personal information will never be shared with a third party. Kian Lam Kho is a food writer, cooking teacher and food consultant specializing in Chinese cuisine. He is the creator of the James Beard Foundation Awards nominated Chinese home cooking blog Red Cook, and his first cookbook on Chinese cooking techniques, Phoenix Claws and Jade Trees: Essential Techniques of Authentic Chinese Cooking, is the recipient of the Julia Child First Book Award from IACP (International Association of Culinary Professional) in 2016. he was the consulting chef in menu concept for restaurants such as Lotus Blue in Soho, NYC. He lives in New York City and teaches Chinese cooking at the Institute of Culinary Education and the Brooklyn Kitchen. He appears regularly as speaker and discussion panelist on Chinese cuisine and its history. He is also a frequent guest chef at various restaurants. 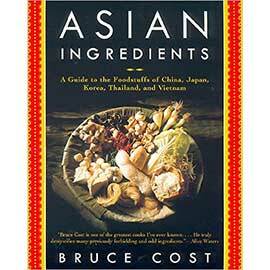 I would love to have a comprehensive cookbook on Chinese food. Looks awesome. Looks delish! Going to give the beef stir fry a try! Looks like a good book, will try the recipes on the weekend. These recipes looked amazing, loved how you shared your tweaks, very helpful! Going to try this tomorrow, thank you! Would love to try some new Chinese recipes. Thanks for sharing the beef stirfry recipe. I am looking forward to having a yummy stirfy! Love Chinese cuisine. Plan to try these recipes. 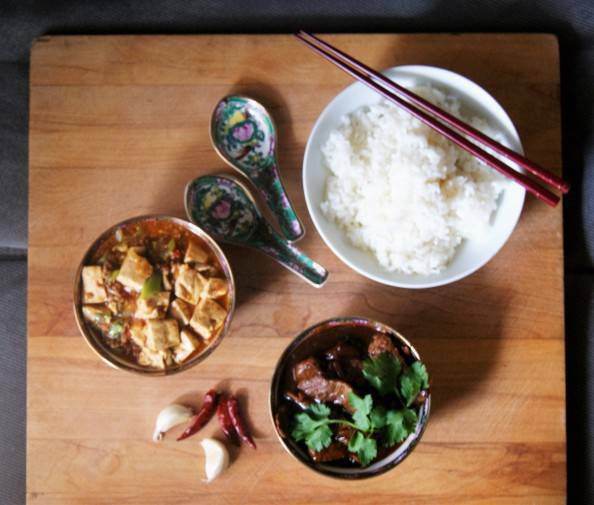 The recipes look awesome, can’t wait to try making the Mapo Tofu. I would love to win the cookbook! Love following your blog – and these recipes sound amazing. 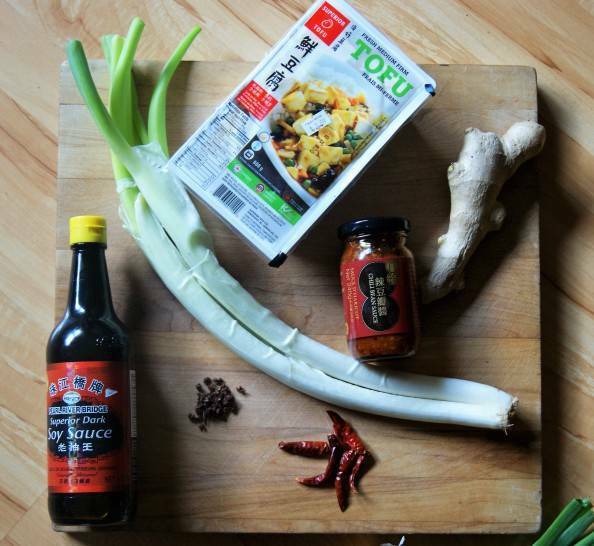 Just wondering if you think Asian cuisine should be cooked on a gas range for best results? Hi Judy, any range that gets to a high temperature is adequate. 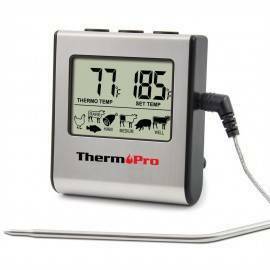 I have had good results on electric, gas, and induction ranges. I credit Heidi for exposing and demystifying Asian ingredients and cooking to me through her cooking classes. Can’t wait to try these recipes and truly how could food not taste wonderful when you can “harness the breath of a wok”! Looks delish Heidi! I always trust your opinions about food. The explanation of types of stir fry would be helpful. Will try beef stir fry. I love to see a beef recipe that will inspire me. In Victoria many people don’t eat beef and I miss it (when it’s well prepared). 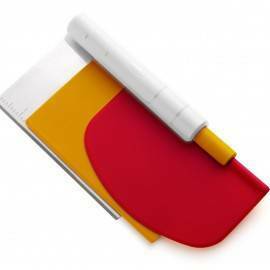 Thanks, Heidi, for the ‘tweaks’ which are always invaluable. Also thanks for letting us know about the Mid-Autumn Festival. Another reason to celebrate! I’m putting the beef stir fry on my menu board for this coming week, looks really good! These recipes look delicious! Can’t wait to try them. 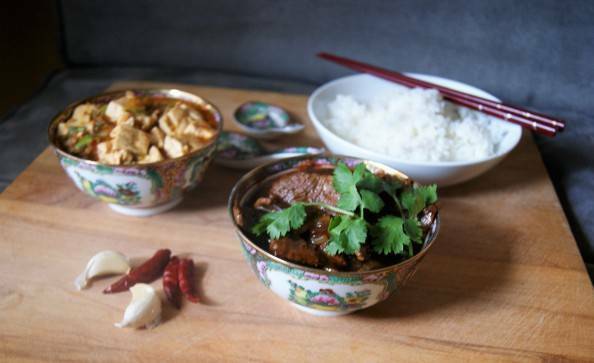 these meals look yummy, though of course i never like my dishes spicy hot, and now i am wondering when Chinese food started using chilies etc for heat, since peppers all come from the Americas. i look forward to trying these recipes soon. thank you Heidi! I’ve wondered the same. I know that the Portuguese and Spanish brought chilis with them to Asia, where they were very quickly adopted into local cuisines. But how chilis specifically got to China is more of a mystery because China had officially closed its borders to European trade by then and there isn’t as much documentation for this as there is for other countries and foodstuffs. I’m going to try these recipes. Sounds yummy! I would be very interested to see how the recipes compare to my old standbys from Pei Mei. Thanks, Heidi. I would love to try these recipes. I would love to have this cookbook. I especially liked your comments on how you would tweak the recipes. I would love a book like this to hopefully impress my lovely new daughter-in-law’s family (from Hong Kong originally) with my efforts to please their palates. I know they will eat whatever I make, but what fun to try some of these recipes for them! The new website is fantastic! Hi Deborah! Thank YOU for all your words of encouragement and all great cooking class participation. I would love to come back to Kilrenny Farm for another cooking demo! I’ve heard about this cookbook before and heard that it’s fantastic. Recipes so far look comprehensive, and I agree overall with your “tweaks” to the recipe based on personal tastes. I myself would question the Chinese cooking wine or vinegar in ANY recipes as I do not trust how these products are made in China. Like Heidi, I would use sherry. Mapo Tofu is a huge favourite in our family. Thanks for the tweaks. Would love to try some of those sumptuous looking recipes. I am SO glad I stumbled on this today!! I was just thinking not too long ago that I would sure enjoy a Chef Heidi class on chinese cooking! I have fudged it for years with my stir fry but would love to get authentic! So please count me in for this cook book contest give away!! AND… let me know if you do a Chinese class! The recipes left my mouth watering. Can’t wait to try them! I’ve heard a lot of good things about this cookbook. Will have to try the recipes.